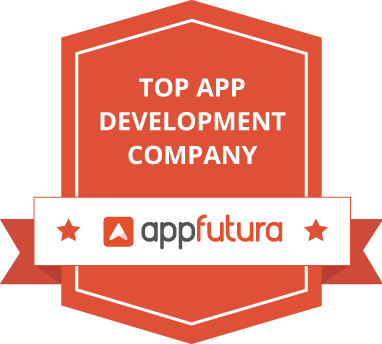 Looking for the best mobile app Development Company in South Africa ? The technological industries of South Africa are becoming advance by each passing day. Our company has worked for several years to meet the guidelines of the continuous growing & advancing major industry like mobile app development in South Africa. The software development is one of the major areas of growth and we deal with the same. Our app developers in South Africa have the full potential to develop an app for such a demanding industry and are leading the race to become the best mobile app development company in South Africa. All the applications being developed has been launched after a careful examination of the required platform with appropriate operating systems and devices. An android is one of the widely used platforms in South Africa & developing an app for this platform is quite challenging but challenge promotes excellent work and that is achieved by our developers. The app for Android was developed strictly under the updated technology and by shaking hand with IT advances to keep an app up-to-date and to promote its usage and to increase functionality and performance. There is no compromise adjusted in terms of quality. Every innovation and technique present in the technology world have our hands on it and that’s what brought us to swift app development. Being an alternative to objective C-language, this provides simpler syntax with complete modern programming language assistance. In addition, its ease in development in comparatively shorter time makes it a go-to tool. Developing an app that can run on both platforms is like a real blessing in today’s world of increasing respective platforms. Building a cross-platform application eliminates the problem of testing an app on a respective platform ultimately provides time for focusing on the functionality and maintenance of an app. 5. Incorporating mobile applications with artificial intelligence. By implementing the advancement of Artificial Intelligence into mobile app development, our company has reached the new heights as this made developed apps more creative, smart and lucrative. This integration helped us in developing applications with a focus on functionality and maintenance. 6. Interactive UI & UX. A most important thing in an app that attracts people’s eye is the user interface and our developers have focused to design an interactive yet attractive user interface to provide an app with maximum traffic. In order to provide best medical facilities to the people of South Africa, our company has the experience of developing a number of health care apps for hospitals and clinics with their customized mobile application that provides patients with every possible medical facility in just a click. Our app developers of Cape Town and Johannesburg have their complete support to hospitals in developing a best healthcare application and serving the patients with best medical help. As South Africa is one of the major tourist attractions, the tourism industry is facing the importance of having a mobile application. Our app developer in South Africa can develop an attractive UI & UX essential for a tourism app that can attract maximum tourists and can help in raising the economy. Online shopping is now becoming a boon for a busy schedule and in the lieu of this increment in online shoppers, industrialists often choose to get their apps on various platforms to get a rapid increase in business and our company becomes the best destination for such seekers. Developing an application for this field has major challenges as security becomes the major concern. Our highly efficient app developer in South Africa are capable of designing an app with complete security features and authentication. The everyday challenging technology world walks towards mobile app development when it comes to getting leads. Our app developer in South Africa can serve the same purpose with an appropriate effort and functionality to deliver the client with the best quality mobile software application. For the universities, schools, and institutes of South Africa, our developers have successfully developed an app with unique and informational mobile applications that will help the students of Cape Town and Johannesburg with latest advancements in the educational field as well as providing them with all the relevant data related to the studies. The first step towards mobile application development is identifying the target audience. The target audience will help you in designing UI & UX thereby making your application more interactive and user-friendly. The every-now developing mobile application in South Africa solely depends on sensing the needs of customers and serving them with the best they can get. The longtime experience of our app developer in South Africa provided them with the idea of predicting the instinct of customers. Getting a deep understanding of customer’s requirements helps in developing an application that will satisfy the masses but for doing that, we need to brainstorm and to completely understand the inside-out of user’s intentions and their vision. After getting a deep understanding of the customer’s vision, the second step is executing the best ideas from the box in an easy yet interactive & attractive fashion to thereby attracting the maximum traffic on the application. “Execution should match the expectations”, only thinking about the application’s interface won’t help in building an app. The execution will need extra efforts and application software demands the same. Providing everything to a user in one platform should be the main objective. Once an application with all the essential features has been designed, the user will ultimately feel secure visiting that application. The up-said points were strictly kept in mind by our app developer in south Africa that helped us in reaching the platform we are in & in becoming one of the best mobile app development companies in South Africa. Once designed completely, an application should be completely examined keeping user’s need in focus to deliver the best application. An examination is an utmost prior step before launching that application in the market. The platform on which application will run i.e. android or ios. The launching time: This decides the traffic, the app will attract in starting interaction with the mass audience. Features incorporated in the app. Focusing on listed things, one can develop a full-time approved application. Assigning a name to your application. “The name describes it all”, the name of your application will attract the required audience. The name should be well descriptive to provide the right information of an application & its working platform. Keeping an appropriate name to your application can get you more users in real time. Testing in the real world. Launching an app before testing is like aiming a random target that will not give fruitful results. Sometimes, a developed app doesn’t run in real time due to various obvious reasons and this problem should be anyhow curbed by the developers. The application should be used in real platforms to check the efficiency and efficacy of it. It should be checked according to the platform it will be launched for i.e. for both android and ios for both performance and platform testing. The testing should be done by maintaining both quantity and quality and it should be checked for enough time to assess the viability of an app and should also be examined for feature functionality to provide the user with the best experience. The final end step of developing a successful mobile application for android and ios platforms is Launching the app in the market in such a way that it reaches the right audience in the right time. The way one launches an app in this competitive world decides the fruit it will yield & the favor it will return to the developer.